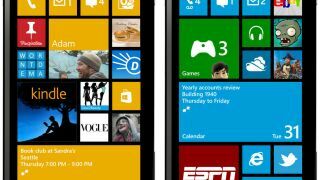 The Windows Phone 7.8 update for Nokia Lumia phones has been leaked this weekend ahead of its expected release early next year. The update, which brings some of the features present on the higher-powered Windows Phone 8 software, has become unofficially available through the Navifirm site. Owners of the Nokia Lumia 900, Lumia 800, Lumia 710, Lumia 610 and Lumia 510 can upgrade from Windows Phone 7.5, if they're comfortable going through the unofficial portals. Those who have already 'flashed' the device and upgraded to 7.8 are experiencing features like Live Tiles of varying sizes and the ability to make Google the default search engine within the IE app. The last official word we heard from Microsoft came on Nov. 28 when it claimed it was working hard to roll out the update, but it wouldn't be until the first few months of next year. "We know you're eager to get the Windows Phone 7.8 update, and we want you to know that we're working closely with our hardware and carrier partners to get it tested, approved, and rolled out to as many devices as possible in early 2013," the company said. "As we work to quickly get this in the hands of our loyal users, we're also striving to deliver a high-quality release and ensure a smooth transition for our widely expanded services." Windows Phone 7.8 was announced back in June in the hope of bridging the gap for existing handsets that were not eligible for an upgrade to Windows Phone 8.